She'll always have the right expression and style with the SKECHERS Skech Appeal - Happy Prance shoe. 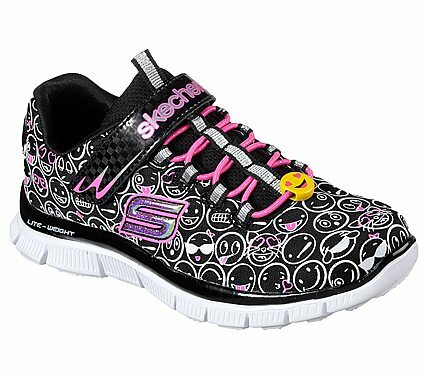 Fun smiley emoji print fabric upper in a slip on athletic sporty training sneaker. Gel Infused Memory Foam insole.